† The Yvert & Tellier catalogue starts at #26 because the listing carries on from the Roman (or Papal) States. 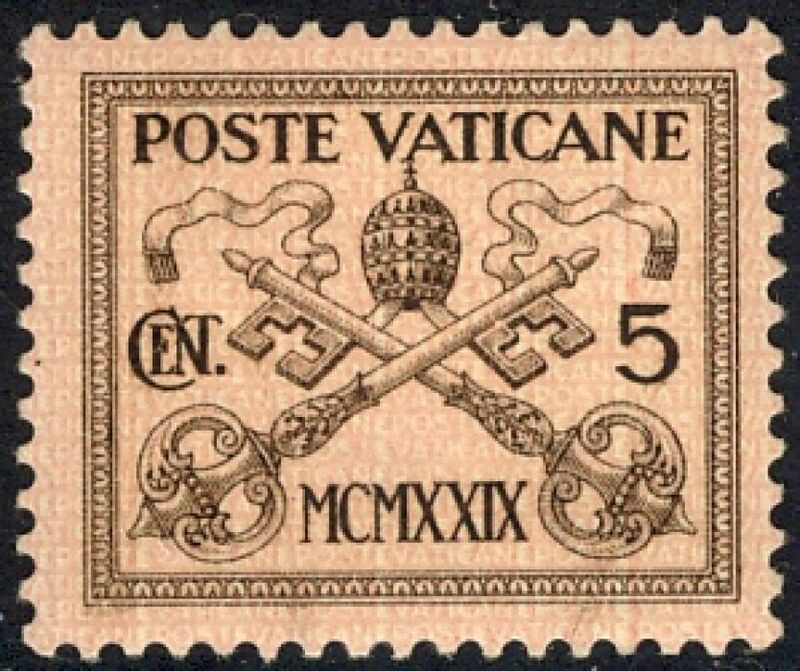 Wikipedia: Vatican City is a walled enclave within the city of Rome. With an area of approximately 44 hectares (110 acres), and a population of 842 (CIA—The World Factbook, retrieved July 2014), it is the smallest state in the world by both area and population.